Facing or enforcing an eviction is uncomfortable for every party involved. However, it is important to note, not all evictions are due to tenants’ bad behavior. As property managers, we feel we have responsibility to inform both homeowners and tenants on why evictions happen. Here are the top 10 reasons why a tenant would be evicted from a Washington DC property. If the monthly rent on a property is not paid, it is ground for immediate eviction, if you have signed a lease waiving the right to notice. 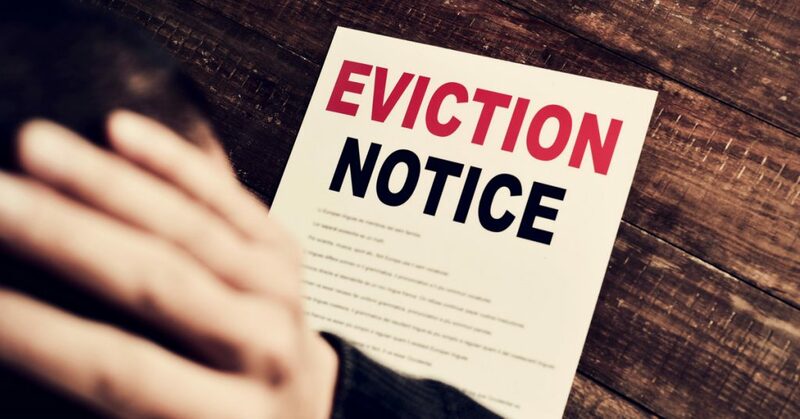 Tenants who have not waived their right to notice, do have the opportunity to rectify the situation by paying the entire amount in full, after being served with an eviction notice. A lease is a contract that explicitly states the terms for the leasing period between landlord and tenant. Violating the terms of a signed lease could result in a written warning from a landlord. If the tenant behavior is not adjusted (usually within a 30 day period) to be compliant with the lease terms, an eviction can be enforced. This is pretty straight forward. An immediate eviction is issued for any tenant performing illegal acts on any Washington DC property. No questions asked. There are instances, especially in a transient city like D.C., where landlords move back from overseas or out of state, and expect to reoccupy their homes. In cases where the owner of a property wants to sell the home, they first have to present the current tenants with the opportunity of purchase. An eviction is served when the opportunity is foregone and the buyers of the home want to move into the space. Landlords serve tenants eviction notices for three different types of construction: renovation, demolition and rehabilitation. In the instance that a home is under renovation or rehabilitation, an eviction is only served if the extent of the work being performed resulted in the home being completely uninhabitable. There are a few cases that tenants receive an eviction due entirely to the fact that a landlord simply no longer wants to rent the property. Last, tenants can be evicted if the landlord wants to convert the property into a condominium or a cooperative space. For anyone looking for a comprehensive resource list over eviction, check out the website for The Office of Tenant Advocate for a comprehensive breakdown of the judicial process of an eviction. Tenants can also check here for other resources like, legal representation. Looking for something further? Visit our Tenant Resource Center to submit a work order. Visit our Client Resource Center to log into your account. Check out our awesome DMV located rentals. For homeowners looking for someone to thoroughly vet tenants or property management services check us out! If this is your first time leasing your property or you’ve had a bad experience with other property managers, get in touch to schedule an initial consultation with us today. We will walk you through a personalized market analysis of your home and give you our professional recommendations of services needed. As always, our initial consults are always free, and in person. Reach out and get started today!